Opioid addiction is a US crisis. Between eight and twelve percent of opioid users will develop an opioid use disorder. These statistics are scary and they’re real. Knowing prescription drug abuse symptoms can help. Whether you or another person is struggling with a pill addiction, identifying the signs can be the first step in getting better. Whether or not you suspect a possible addiction, being proactive about learning the risks can make all the difference in the world. Here are the tell-tale signs of prescription drug abuse and how to recognize the problem. Prescription drug abuse is using a drug in any way outside of a doctor’s specific prescription. This can look like taking someone else’s prescription for pain or administering medication in a way not approved by your doctor. By identifying abuse in the early stages, you may be able to help prevent addiction. While abuse is not an addiction, long-term abuse can be the beginning of a debilitating addiction. Stopping use after a period of abuse is usually not associated with withdrawals, whereas addiction is. While mild symptoms may occur, mental withdrawals that are unique to addiction are not present. Substance abuse results in temporary minor brain changes. Addiction causes permanent, distinctive changes in brain chemistry. What Are the Prescription Drug Abuse Symptoms? If you compare the signs of drug abuse with each other, they’re quite different. There is a vast array of pill addiction signs, making it difficult to identify. Symptoms associated with prescription drug abuse are usually unique to the drug being abused. Some popularly abused medications are opioids, hypnotics, stimulants, and anxiolytic or anti-anxiety medications and sedatives. 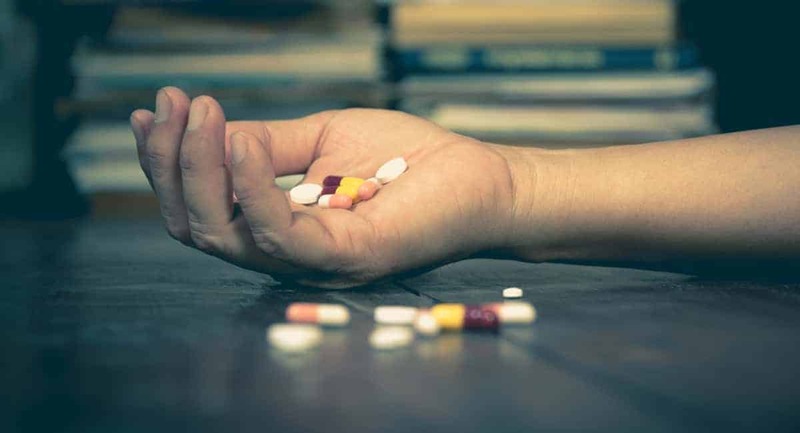 Pain medication addiction or opioid addiction are some of the most common pill addictions. These medications are extremely addictive. This is because these medications trigger a temporary release of dopamine, the feel-good neurotransmitter. Once the drug wears off, a user might feel like they need to keep taking the meds to feel good again. Opioid addiction is rampant. By recognizing the signs of drug abuse, you can lower the likelihood of addiction. Some examples of opioid medications Oxycontin, Percocet, and Norco. Stimulants are used to treat attention deficit hyperactivity disorder (ADHD) and some sleep disorders. While stimulants are effective at treating these disorder, they are also addictive. Their addictiveness of these medications is due to the euphoria, increased energy and focus, and motivation to complete tasks that results from taking them. Some common stimulants are Ritalin, Adderal, and Dexadrine. Most anti-anxiety prescriptions work by increasing levels of the neurotransmitter GABA. GABA is a chemical in the brain that causes feelings of calmness and tranquility. This tranquil euphoria is the main reason why this drug can lead to dependence. Anti-anxiety medications, hypnotics, and sedatives are all used to treat anxiety and some sleep disorders. Frequently prescribed medications are Xanax, Ambien, and Valium. There are some classic signs of drug abuse, despite the medication being used. These are often motivated by a need for more of the drug, guaranteeing supply, or hiding an impending addiction. Signs like these should be treated very seriously. If you or someone you know is displaying these symptoms, you should contact a licensed professional. Someone who is trained in rehabilitation can help identify key issues through counseling. This helps heal some of the underlying mental and emotional issues that contribute to addiction. They can also help direct addicts and abusers to programs that are best suited to their individual situation. Succeeding in drug rehab is best accomplished under a professional. This will lower the chances of relapse and overdose. In moderate to severe cases, it can be very dangerous to detox from a pain medication addiction at home. If you suspect drug abuse has worsened to addiction, it’s important that you or others do not attempt to stop taking a drug on your own. Some drug rehabilitation requires medication-assisted detoxes. In cases like these, medication helps to lessen withdrawal symptoms for better success. When high dosage pain meds are detoxed without supervision, the chances of relapsing are high. After a period of detox, the body’s tolerance goes down. In the case of a relapse, overdose, which can lead to death is much more common. Freedom begins in accepting and admitting that you need help. If you or someone you know is demonstrating unmistakable prescription drug abuse symptoms, it’s important that you take the steps to recovery and contact a professional. If you are interested in learning about addiction, you may also be interested in health and wellness. Florida Independent also has in-depth articles on topics like beauty, fashion, technology, and entertainment!